Speakers at the event will discuss developments and issues regarding data, content strategy and accessibility in the context of information architecture. City University London will celebrate World Information Architecture (IA) Day on February 20th. Speakers, including information architect and product manager, Gaynor Burns, senior data architect for BBC News, Paul Rissen and former IA and Linked Data specialist, Vicky Buser, will address a range of issues including data, content strategy and accessibility in the context of information architecture. The goal of IA is to create strong structural design for digital information environments (websites, mobile apps, intranets etc.) by making it easier for users to find the information they need. "We are very pleased with this event taking place here at City because it is one of only a few universities in the world to teach IA. We are proud to be flying the flag for this young and vibrant discipline. As Module Leader of our Postgraduate IA module, I am constantly energised by the enthusiasm of our students and their drive to want to design websites, apps and Intranets that are well organised, well labelled and easy to navigate." The City IA module regularly welcomes guests from industry who are respected practitioners in the field. Over the years, they have included Paul Rissen and Tristan Ferne from the BBC and Angela Kounkou from Thomson Reuters. For further information on the event, please visit this weblink. 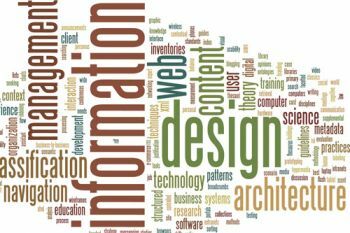 Information Architecture (IA) is the structural design of shared information environments; the art and science of organizing and labelling websites, intranets, online communities and software to support usability. It is an emerging community of practice focused on bringing principles of design and architecture to the digital landscape.